The unique shape of this cigarette receptacle saves space. 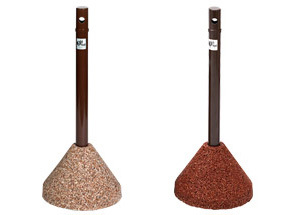 Its cylindrical aggregate base provides outstanding stability. The steel pipe is removable for easy maintenance while its set screw deters tampering. Available in the colors shown below.